option to see in the log window only the bad files. 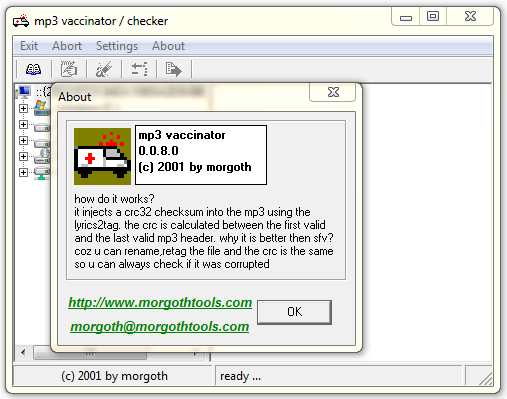 it injects a crc32 checksum into the mp3 using the lyrics2tag. the crc is calculated using the mp3data from the first valid to the last valid mp3 frame. why it is better then sfv? pls write me what u think about it ..
mp3 crc dont work with vbr files ..
how does the mp3-crc get calculated?